CNRP youth activists cheer during an event president over by deputy opposition leader Kem Sokha at the party’s Phnom Penh headquarters in November last year, in a photograph posted to Mr. Sokha’s Facebook page. Young people make up about a third of the country’s approximately 7.9 million registered voters. But the parties with the most candidates in Sunday’s commune elections, the ruling CPP and main opposition CNRP, have the smallest percentage of young contenders—under 8 percent each. It’s the party with fewer than half the candidates of the CPP and CNRP, the League for Democracy Party, which will be fielding the most youth candidates of any of the 12 parties. Only about 1 in 10 commune candidates overall are under 36 years old, according to National Election Committee figures. Yet political observers say voters aged 18 to 30 have the potential to affect the outcome of the elections, with some saying youth are more likely to back parties that promise change. CNRP youth activists cheer during an event presided over by deputy opposition leader Kem Sokha at the party’s Phnom Penh headquarters in November last year, in a photograph posted to Mr. Sokha’s Facebook page. “If young people support any political party, a big thing will happen in that party,” Yong Kim Eng, youth advocate and president of the People Center for Development and Peace (PDP Center), said this week. Nearly all youth surveyed—95 percent of about 1,500 young people across Cambodia who had completed grade 11 or above—said they intended to vote in the upcoming commune elections, according to a 2016 report from the Youth Resource Development Program. Despite more than a quarter of LDP candidates being 25 to 35 years old, party leaders said courting the youth vote—or any votes for that matter—was not part of their campaign strategy. “We don’t have a plan to attract the youth to come to LDP,” Khem Veasna, the party’s president, said this week. They come “naturally, automatically,” Mr. Veasna said, with young people being cleverer and quicker to understand the party’s political platform than older voters. Their candidates are young, too. Touch Puthsorida, 26, is a first-time LDP candidate for Sihanoukville’s Buon commune. He is full of ideas about what is wrong with the country. 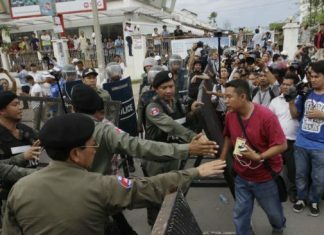 “The main problem in Cambodia is the power is being centralized in the hands of the prime minister,” he said. Only about 6 percent of the CPP’s commune candidates, of about 27,000, are aged under 36. For the CNRP, this figure is about 7 percent of nearly 25,500 candidates. “Young candidates in general have always been the CPP’s core supporters. Without them the CPP wouldn’t be where we are today,” CPP lawmaker Suos Yara said in a message. Many of the party’s current leaders began their political careers in their youth, Mr. Yara said. As commune chiefs and councilors have aged and retired, the party has replaced them with “younger, more energetic candidates who can spend more time and energy traveling across the communes and beyond to fulfill their obligations,” he said. “Fielding young candidates is every party’s strategy given that the post-genocide Cambodian population is very young,” he added. 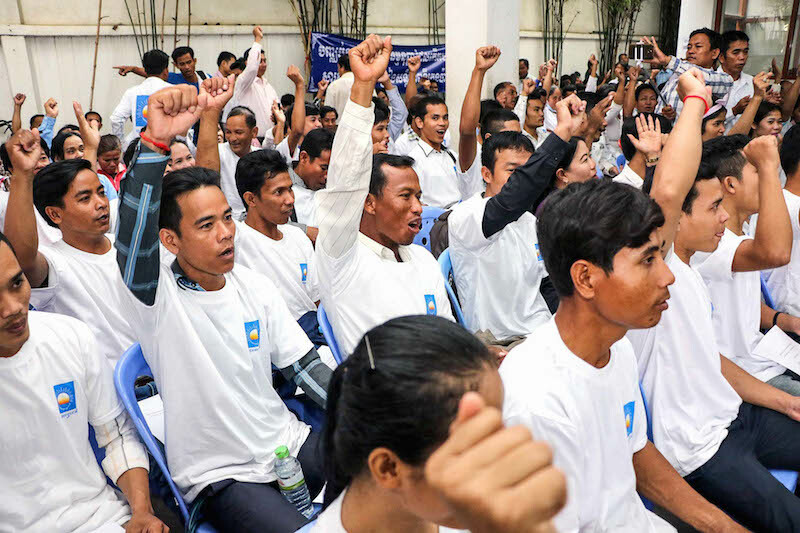 The CNRP has paid “special attention in recruiting young and/or female candidates,” Kem Monovithya, the CNRP’s deputy director of public affairs, said in an email. “It just makes sense to have more people from these two categories, as they represent the majority of the country,” Ms. Monovithya said. Kong Sokunliny, a 21-year old who volunteers in the CNRP’s training department and overseas party relations office, said the CNRP had young commune candidates competing with older CPP candidates. When the Youth Coalition for Unity and Development met with representatives of the CPP, CNRP, royalist Funcinpec and minority Grassroots Democracy Party in January, two of the parties said they “win because of youth,” Mey Samphas, the organization’s general secretary, said this week. She declined to identify the two parties. “If the party cares about youth and the political platform mentions something that benefits youth, then youth will vote for them and they can win,” Ms. Samphas said. Young people are most concerned about quality education, job opportunities, community safety and ensuring an independent judiciary and freedom of speech, she said. “If we want to solve [youth] issues, first we should vote for youth candidates,” she added. Thaknin Maraty, 25, is at the top of the LDP’s party list in Russei Keo district’s Kilometr Pram Muoy commune in Phnom Penh. If her party wins, she’ll be commune chief. She promised two things on her ticket: to carry out her administrative duties on behalf of her constituents, and to not be corrupted.